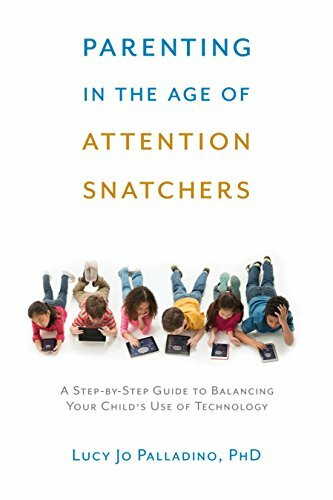 Parents will learn the best practices to guide children to understand and control their attention—and to recognize and resist when their attention is being "snatched." This approach can be modified for kids of all ages. Parents will also learn the critical difference between voluntary and involuntary attention, new findings about brain development, and what puts children at risk for attention disorders. LUCY JO PALLADINO, PhD, is an award-winning clinical psychologist, researcher, and author. She wrote Dreamers, Discoverers, and Dynamos: How to Help the Child Who Is Bright, Bored, and Having Problems in School and Find Your Focus Zone: An Effective New Plan to Defeat Distraction and Overload, which has been translated into seven languages. She's been featured in national media, including CNN, Fox, Family Circle, Cosmopolitan, the Washington Post, the Wall Street Journal, and extensively online. She lectures about attention issues and trains educators and parents to teach kids how to pay attention.